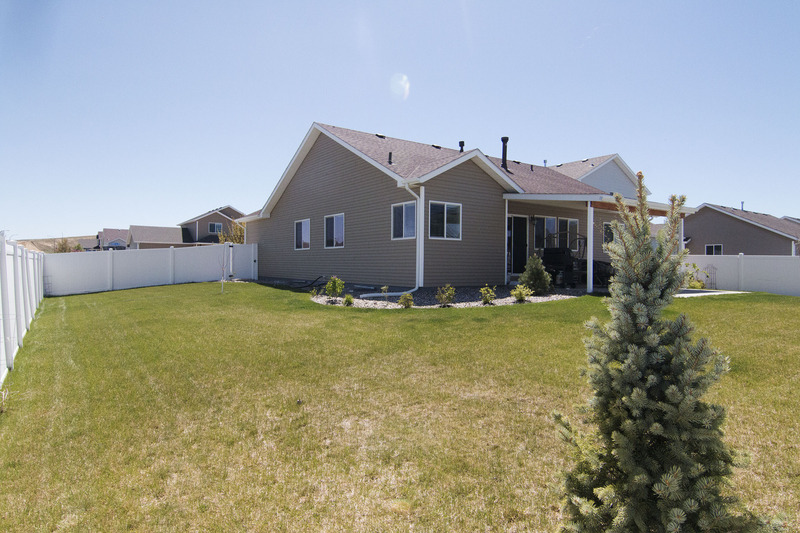 Looking for a new family to call its own, 1216 Sioux Avenue in Gillette, WY has so much to offer. 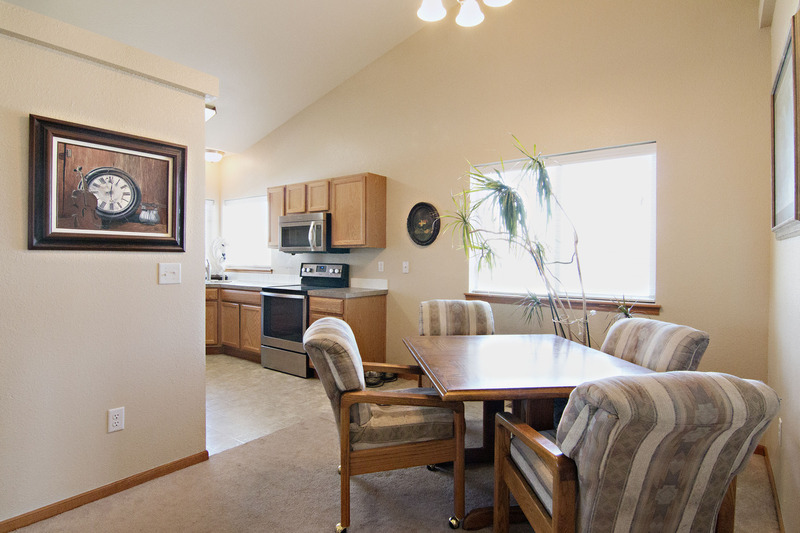 If you’ve been searching for the certain home with room to grow then come take a look! 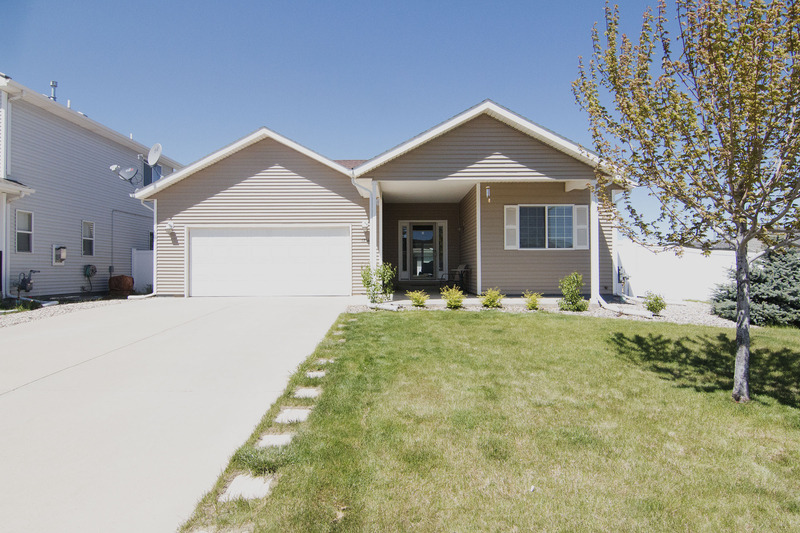 Located in the Moonshadow Subdivision, this home is situated in a great area close to all the major shopping and restaurants in town. You’re also right next to the popular Dalbey Memorial Park (aka the Fishing Lake). There’s plenty of family friendly outdoor activities from sports and fishing to playgrounds and picnic areas. This home sits on a great oversized, corner lot of 0.19 acres. You’ll notice lush green grass and beautiful shrubs. You can enjoy the outdoors from both the front and back covered patios. The fenced backyard offers plenty of space to entertain and for the kids and pets to play. Inside that home you’ll find a great floor plan featuring 3 bedrooms and 2 bathrooms. The master bedroom gets added privacy on the opposite end of the home from the others. It features a bright 5 piece on-suite bathroom and a walk-in closet. 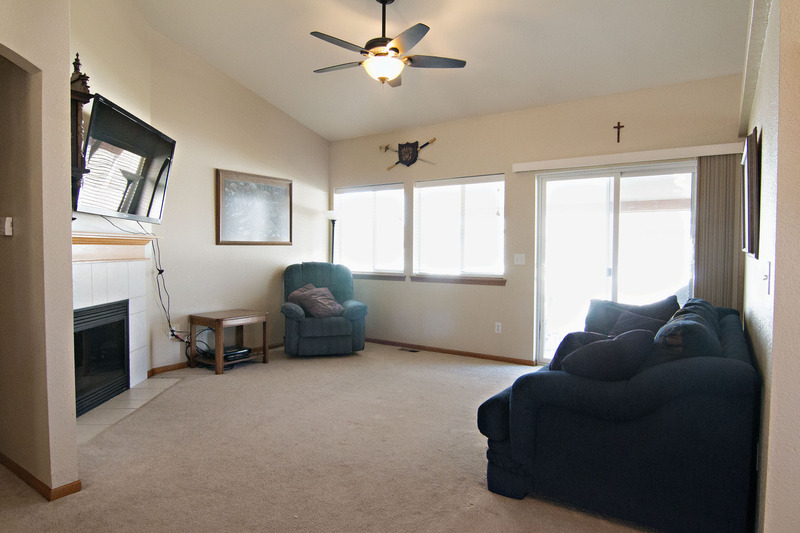 The living area boasts a beautiful gas fireplace and vaulted ceilings. 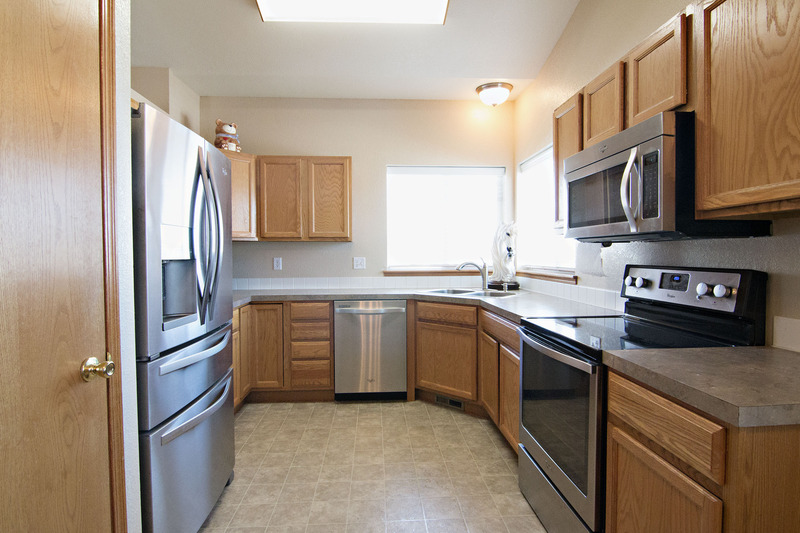 The kitchen offers upgraded appliances, plenty of cabinet space, and a large pantry. The basement of the home remains unfinished, waiting for your personal taste. There’s plenty of space for additional bedrooms, a bathroom, and living area – depending on your needs. So if you’re on the market for a new home keep 1216 Sioux Avenue in mind!